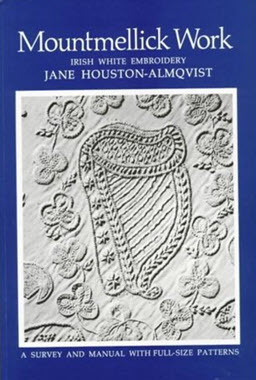 White-on-white embroidery in various forms has been practised in Ireland for several centuries. 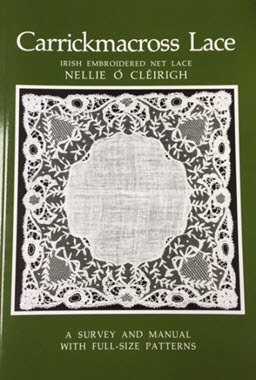 Mountmellick work is probably the best-known style of Irish white embroidery and is named after the town where the craft was developed in the early decades of the nineteenth century. 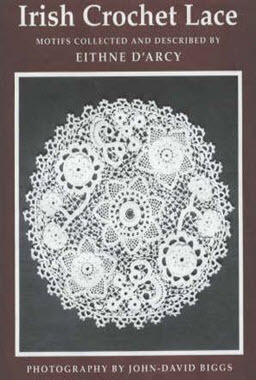 Mountmellick is in the centre of the area in which Ireland’s cotton spinning and weaving industry developed a century earlier and here, in about 1830, Mrs Johanna Carter invented the style of embroidering in thick cotton thread which is named after her native town.